The leash. It’s the scourge of many dogs, and it’s not exactly the favorite tool in a dog owner’s arsenal - especially during training. In recent years, the Halti Harness has emerged as a viable alternative to the traditional leash. But how effective is the device? What is a Halti Harness? 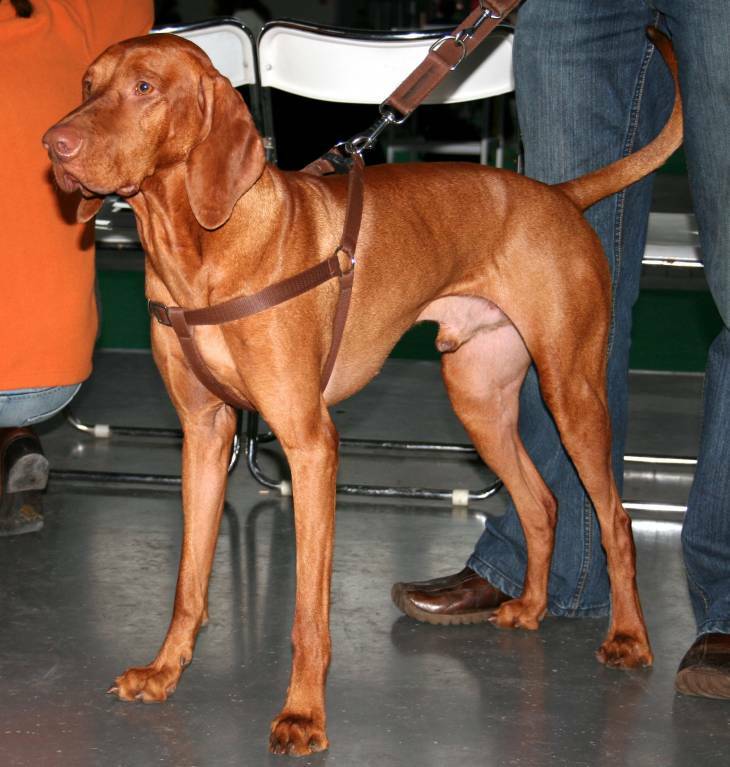 The Halti Harness is an apparatus designed to prevent dogs from leash pulling. Created in the late 1970s, the harness is similar to a harness you’d see on a horse. The contraption connects to a dog’s collar and wraps around his torso and forelegs; in some cases, it can wrap around a dog’s neck and muzzle. The main functionality behind a halti harness is to allow owners to exert control on the dog in an easy, gentle fashion. This could be especially critical to small-framed dog owners of large breeds, who may otherwise struggle with establishing themselves as alpha dogs during their pooch’s initial training phase. The harness is built to let the owner “steer” the dog the way he or she wants by guiding the pooch’s shoulders and chest, instead of the neck. This steering does not put any pressure on the dog’s body. More importantly, the Halti Harness design inherently forces the dog to relinquish any control he may otherwise be able to produce through pulling. The Halti Harness is also built for durability and security. The wrap-around shape means that your pooch is far less liable to break away from his collar and go after strangers or other animals. And while the harness may be more readily associated with large breeds, they make Haltis for small dogs, too. At first, your dog may not like the Halti. In fact, if you don’t work with him closely to get him used to the device, he could very well flat-out hate the contraption, particularly if you’re using the harness with the muzzle. However, this can be overcome by utilizing some training fueled by positive reinforcement. A Halti Harness can be an excellent tool to make sure you walking your dog doesn’t turn into your dog walking you. Yet the device can be your worst enemy if you don’t take a few essential measures, both before and after you bring one home. Firstly, it’s essential that you make sure you get the right size. It seems like a no-brainer here, yet if you have a dog whose size is on the cusp of, say, a small or medium build, just assuming you got the right one could cause your pup to get hurt. Because of this, you should measure your pooch just to make sure. Once you have the Halti Harness, you need to make sure that you remain patient and diligent in its usage. This is especially true if your pooch balks at using it during the initial training stages. If he complains and you give in, just once, he’s going to assume that his actions will create a winning formula to get his way every time. If you’re using a model with a muzzle wrap, you’ll want to make sure you secure it tightly, yet comfortably. This is important because your pooch may start pawing at it, but not necessarily out of discomfort. Again, if you know it’s not too tight and yet you give into his demands anyway, he’ll see it as a victory. You may also consider having your dog wear the harness around his torso around the house as long as you’re home. This will allow him to get comfortable with the feel of the harness, which may in turn make it easier for you to fully train him with the device. He’s Your Dog - You Know What’s Best! Whether the Halti Harness is right for your dog depends on his personality, and that’s something you know better than anyone else. If your think your dog may be too difficult to train using the harness, then you may wish to move on. Yet if the harness is something you think your dog may get used to with some training, then go for it - you may be glad you did!